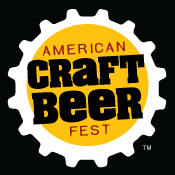 For those of you who like to plan ahead … our 5th annual American Craft Beer Fest will be hosted at the Seaport World Trade Center on June 1 & 2, 2012 (same weekend as last year). We plan on over 100 American brewers pouring over 500 craft beers, and expect upwards of 5,000 attendees per session; Friday session (6-9:30pm) and a Day (1-4:30pm) and Night (6-9:30pm) session on Saturday. Tickets will go on-sale in early 2012. Brewers who are interested in attending can contact us for more info.